Tableau tool can be used by any non - IT person who is an average business manager, interested to do great things. All they would use is a data source available in excel and interact with the data in the form of data visualisation. Tableau excels in providing charts / graphs given you have structured data. Other than Tableau no one makes it easier to work with the level of power Tableau provides you. Working on Tableau is like self service. It allows its users to play with the data on their own. It gives some freedom to user to explore, but in this case governance gets compromised. Qlikview on the other hand requires an IT developer to build the dashboards. Once it's built, the end user can easily navigate, but user can't build it themselves. It posses real strength in associative dashboards. These are dashboards designed for a specific purpose that you can interact with in a combination of traditional chart and grid drill downs. Qlikview is more suitable for environments, where IT is taking the proactive role & creating smart repositories which will be shared to users; Governance is great in this approach. It is a wonderful tool of data discovery, providing powerful tools to navigate easily between a sea of data in an intuitive, easy, and clear way, allowing them to go from facts to KPI and vice versa. Both of these tools are really good and each haves its own pros & cons. Both are expensive but Tableau does have the ability to scale to the smallest teams. More importantly however is total cost of ownership and for some of the reasons given above, our opinion is Tableau is going to cost less in the long run than Qlikview. Features - Both tools are striving to add more of these. We would say Qlikview has the advantage here now. Qlikview does have ETL components, report scheduling, and more production-ready report formats. Tableau has the edge in security as they can do row-level security and Qlikview is still at object level. Just going off Gartner's latest Magic Quadrant report users rate Tableau above average in customer support and Qlikview below. 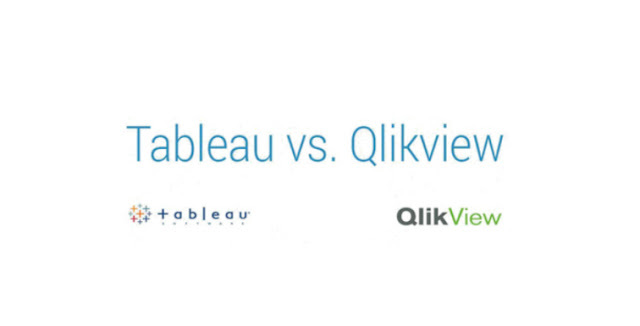 Majority of Tableau's users are on the latest release and Qlikview is not. That indirectly talks about ease of use which is not directly tied to customer support, but in overall ease to support the product internally. 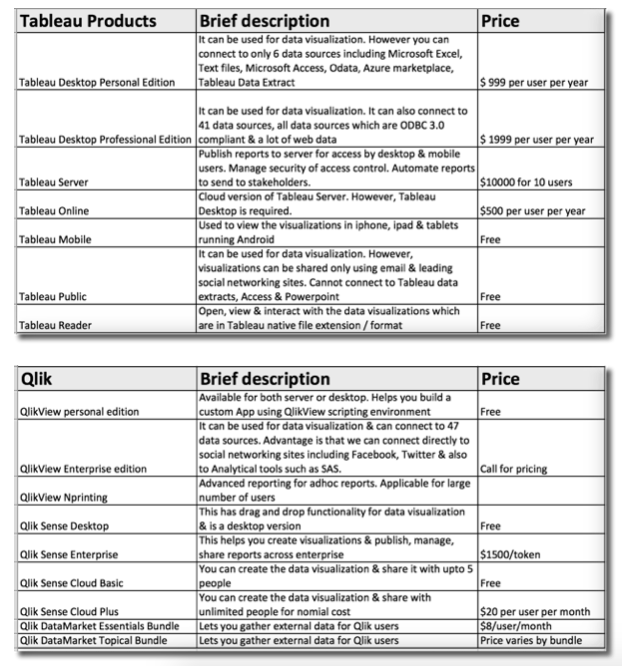 Qlikview, its a complete package, you get solid ETL capabilities along with good visualisations. Tableau has excellent visualisation but not much of a ETL capability. So, you need to depend on other tool for ETL . GUI & Visualisations are good in Qlikview but in Tableau they are really great. Therefore depending on your business need, you should choose any of these tools. 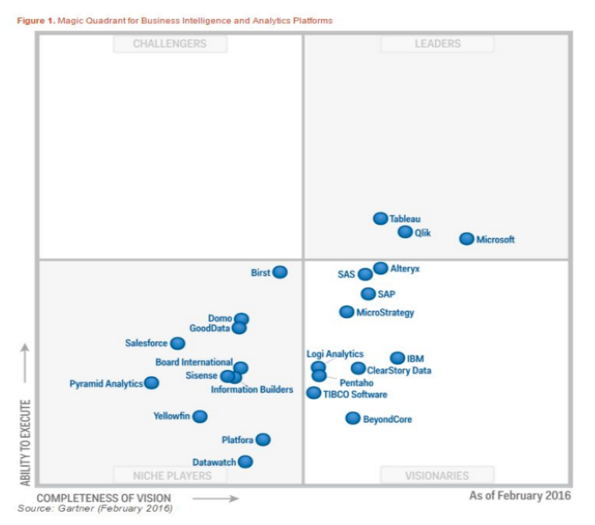 Tableau & Qlik are both in leaders quadrant for third year at a stretch. However Tableau is a once again a clear winner and is well ahead of Qlik when it comes to ‘ability to execute’ & yet again Tableau is a winner by a small margin & is slightly ahead of Qlik when it comes to ‘completeness of vision’. 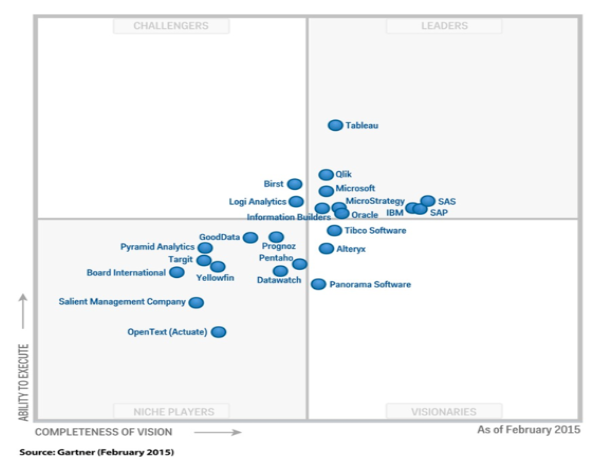 Tableau & Qlik are both in leaders quadrant for fourth year at a stretch. However the gap between Tableau & Qlik has come down drastically when it comes to ‘ability to execute’ & this time the positions of Tableau & Qlik swapped & Qlik is a winner by a small margin & is slightly ahead of Tableau when it comes to ‘completeness of vision’. 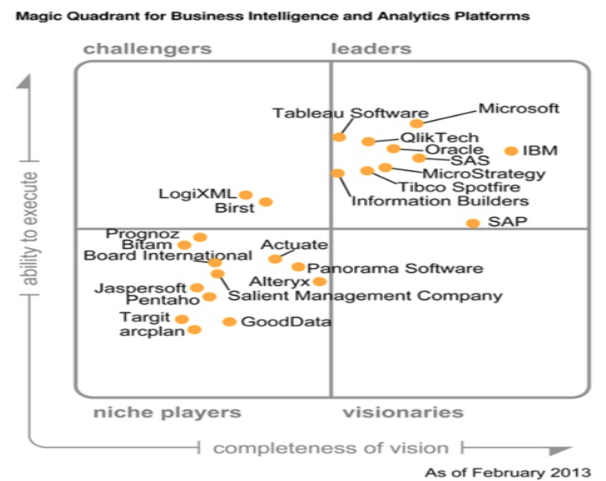 It seems like both Tableau & Qlik are competing equally for the market share within BI & Analytics domain. There is no clear winner. It is a tie between both of these giants in this domain. Clearly Tableau is the winner because the demand & the number of users purchasing MacBooks from Apple has increased drastically, especially within the space of data analytics. Qlik has a beautiful product called DataMarket to gather external data for analysis & is highly beneficial for Research domain which is not the case with Tableau. Also base version of various products is free which is not the case with Tableau. Both Tableau & Qlik have mobile apps to view the data visualisation with ease on the move. 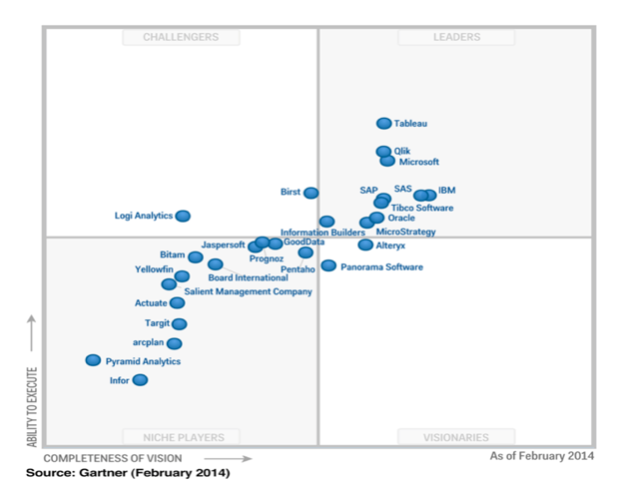 I would say Qlik has a slight edge over Tableau from this perspective. The number of data sources which you can connect to using both Tableau & Qlik are more or less the same. Server/enterprise version of Tableau comes for a less cost in comparison to Qlik. 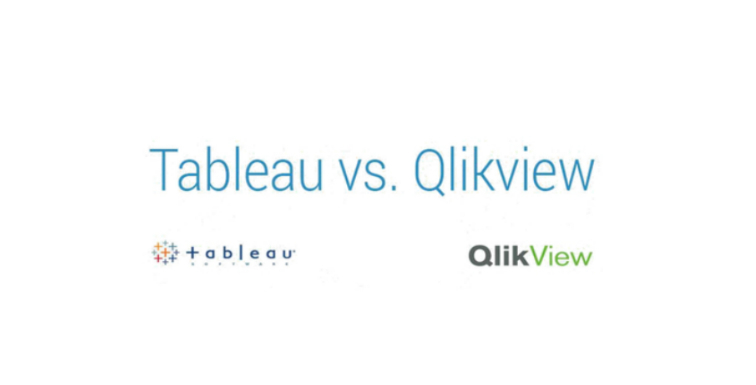 Cloud version of Qlik costs less in comparison to Tableau. Both Tableau & Qlik have its strengths & weaknesses & depending on the business requirements one has to choose the product which suits them well. I would say there is no clear winner because both are equally well in the space of data visualisation & Business Intelligence.